Silence is perhaps one of the most underappreciated creativity tool. Spending time unplugged, disconnected, and in silence can improve your focus, productivity and creativity. Collaboration is important, but so is focus — particularly for creators. For knowledge workers, disruptions and noise only interrupt creation process. Derek Sivers, writer and founder of CDBaby, says silence is a great canvas for your thoughts. “That vacuum helps turn all your inputs into output. That lack of interruption is a great ingredient for flow,” says Sivers. Neuroscience also reveals that silence has nourishing benefits for your brain. The neuroscientist Marcus Raichle says his best thinking happens in quiet places. For Raichle, silence was shorthand for thoughtful solitude. Many great artistic masterpieces were done in isolation. Elizabeth Bishop, an American poet and short-story writer believed that everyone should experience at least one prolonged period of solitude in life. According to Ester Buchholz, a psychologist and psychoanalyst and the author of The Call of Solitude, solitude is an important — and normal — part of human existence. And it’s also essential for our best creative work. Being alone doesn’t have to be the same thing as being bored or lonely. You can benefit from interacting and brainstorming with others, but awesome creative work can be achieved by shutting out the outside world, whilst you insanely focus on your craft. Research by Dr. Mihaly Csikszentmihalyi author of Flow (The Psychology of Optimal Experience) found that exceptional creators are more likely to be introverted. The best creative minds are flexible, and spend quality time working alone, but they don’t ignore the value of other ideas. In physics, Albert Einstein, Isaac Newton, and James Clerk Maxwell, three of the greatest creative contributors, worked almost entirely alone. They profited from other people’s ideas not in direct collaboration, but by reading research papers and books. In music, Michael Jackson and Roger Waters needed the input of Quincy Jones and David Gilmour, respectively, to produce a great product. For artist Louise Bourgeois, aloneness was the raw material of art. According to Susan Cain, author of Quiet: The Power of Introverts in a World That Can’t Stop Talking, brainstorming groups generate fewer ideas than the same number of solitary people working alone. 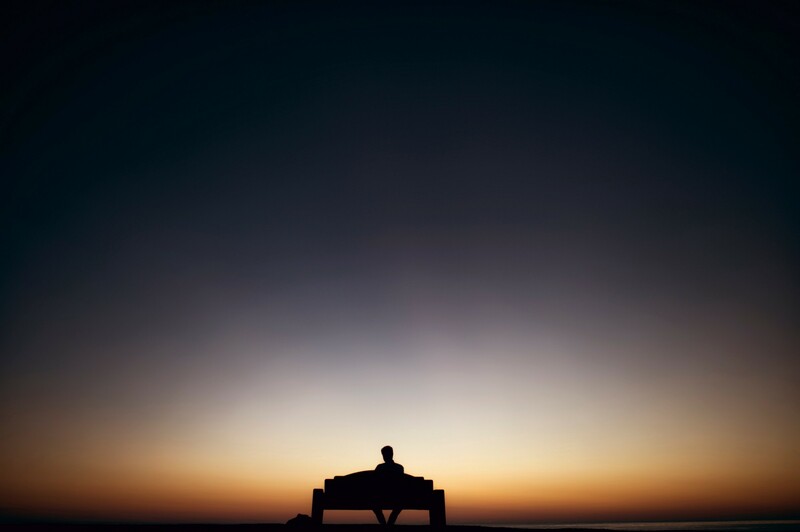 Solitude can be beneficial to you when certain preconditions are met. Kenneth Rubin, a developmental psychologist at the University of Maryland, calls them the “ifs.” Kenneth says solitude can be productive only: if it is voluntary, if one can regulate one’s emotions “effectively,” if one can join a social group when desired, and if one can maintain positive relationships outside of it. When such conditions aren’t met, yes, solitude can be harmful. You can get your best work done when you make time for solitude. Schedule time your alone moment to do meaningful work. When you can, it’s worth choosing silence. Strive to find small pockets of silence for yourself during the day, and savor the silence. You schedule just five minutes, in complete silence, every day, if you can. It will be an awkward experience in the beginning but it’s worth it. Your instinct will be to fight and insist you are wasting time. To take advantage of silence to improve your creative work, you could get in the office an hour earlier, just so you could get some quiet work done before the office starts buzzing. If you can’t do it early, get your solitude by getting away from the office or your home. By all means, make some time for it to leverage the many benefits of silence. If you’re a night owl, you can find your quiet and solitude time at night and get creative work done. If you are distracted by too many things, it pays to disconnect. Remove distractions. Turn off notifications. Or better still, turn off your phone or mobile devices and leverage silence to think or create. Block out the external world and retreat inwards. Focusing on just one thing-without allowing distractions to intrude-can become become your own form of sacred solitude. Choosing to be alone in a somewhat disciplined manner can give you the time and space necessary to focus on your most important work.